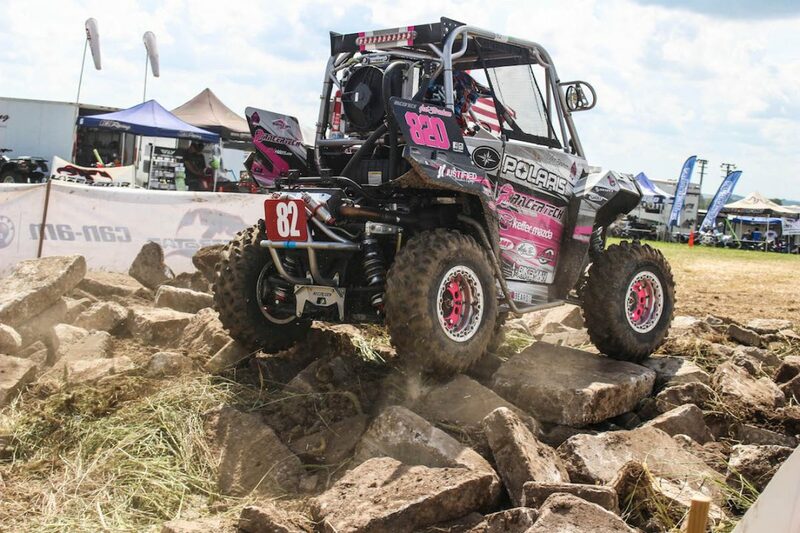 Anaheim, Calif. – August 1, 2017 – The 10th Annual GBC Motorsports Heartland Challenge is fast approaching, and racers and spectators alike are busy preparing for “The Most Challenging ATV/SXS Race in America!” This extreme endurance competition set in Carlisle, Iowa pits racers from across the country against one another with all eyes set on the coveted corn cob trophy, cash prizes, and a year’s worth of bragging rights. The action begins on Friday, August 18th as competitors and spectators arrive and prepare for the ultimate showdown to test both racer and machine. (The event grounds will be open on Thursday the 17th for those wishing to arrive early.) As all in attendance get settled in on Friday, racers will go through tech inspection and make final adjustments to their ATVs and SXSs. The afternoon is highlighted by GBC’s BBQ dinner, a chance to bring everyone together in celebration before the competitors are thrust onto the battlefield. Then it’s time for the day’s main events. The 1.5-hour ACE Challenge will kick off the racing action as the single-seaters make their way through the diverse terrain of the Heartland Challenge course. As the sun begins to settle in the sky, the SXS competitors will line up to embark on a 4-hour journey around the course. This race runs into the night time hours, and the transition from light to dark makes for interesting spectating as the sounds of engines are marked only by the bright lights of each SXS. Saturday morning comes quickly with the Youth ATV riders lining up bright and early at 7am for a rider’s meeting, with the race kicking off at 8am. Three hours later the Youth ATV Challenge will come to a close and class champions will be crowned. Then, the pre-race rider’s meeting and final preparations for the 10-hour Adult ATV Challenge. Like the SXS race, this event will begin during the day and run into the night, providing an extra element that riders will need to deal with as they fight to overcome fatigue and stay focused on the race. New this year is the addition of the Wonder Woman class, a solo class for female riders in the same format as the Ironman class. Competitors in these two classes will be solely responsible for piloting their vehicles through the entirety of the 10-hour race, the ultimate test of willpower, endurance and mental fortitude. At the end of it all, the party begins as class winners are awarded their corn cob trophies, cash prizes, and the rights to their title as class champion. The winners of the pre-registration tire giveaway will receive their prizes during the weekend’s activities. Last year, GBC Motorsports awarded the winner with a set of their all-new Ground Buster III tires. This year, three separate winners will be awarded their choice of a set of ATV/SXS tires, trailer tires, or light truck tires. There’s still time to pre-register for this race! For more information including a detailed event schedule, class breakdown, event rules and more, visit www.heartlandchallenge.com. GBC Motorsports is a proud sponsor of the Heartland Challenge. Learn more about their lineup of ATV and SXS tires at www.gbcmotorsports.com, and follow them on Facebook, Instagram and Twitter for the latest news and updates.